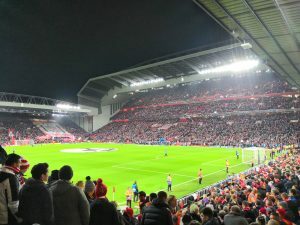 About the author: Matt is a young and fresh Liverpool FC with a "die-hard" passion to match any other supporter of any age. He lives on Merseyside and attends games regularly at Anfield. He likes to post Opinion, Transfer articles and likes to get fans involved by reviewing players and asking for feedback. Follow him on twitter for Football/Liverpool related views and also for an insight into his personal life. 56 games and only 11 goals have provoked sighs of irritation throughout the Liverpool fanbase during Andy Carroll’s opening two years of his career at the Reds. It was only towards the end of the 2011/12 season Liverpool fans started licking their lips at what Kenny Dalglish had brought into our strike force. Carroll started closing defenders and goalkeepers down when the ball was dead and deep into the oppositions half. Carroll was improving on key areas weekly, significantly beating defenders such as John Terry to the ball over distance and Carroll was also supplying important goals. It musn’t be ignored that without our number 9, wins against Blackburn in the league and the sensational 2-1 victory over Everton in the FA Cup semi-final wouldn’t of stood in the dramatic fashion they did. But with the recent arrival of Brendan Rodgers, questions have arisen whether Andy Carroll can fit into his favoured 4-3-3 formation. The same formation in which he transformed Swansea from Championship mid-tablers up a tier into a now secure Premier League force. You may think Carroll could easily fit into this setup as a lone striker, acting as a target man, but that is far away from how Rodgers will want to play. 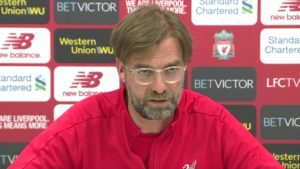 In his recent press conference (accompanied by Jay Spearing And Lucas Leiva), Rodgers spoke of a friend who had previously been to Harvard University which idyllically is where Liverpool will be based during their pre-season tour of the USA. “It really is about being ruthlessly simple on and off the field”. This was evident in his time at Swansea, where he programmed the Welsh giants to keep it straightforward, and pass and move around the pitch which got them wins against teams such as Arsenal, Man City and ourselves. As we have seen, Carroll may need to win over Rodgers and prove he has the technical ability; especially with his feet. But what if Carroll cannot convince the manager and is set for a season consisting of coming off the bench in the 88th minute to provide extra defensive cover. If this is going to happen, then the only option would be for Rodgers to loan the England International out to another club, where he would be a first team regular and to improve his technical ability. But the question is, which club is right for Carroll? Each club has been rated out of ten - as to the suitability to house Andy Carroll for a year on loan with 10 being very suitable and 1 being totally unsuitable. Around two years ago, Andy Carroll was idolised by the whole of the Toon Army. But after that deadline day deal to Liverpool, he’s no more than a face from the past. However, with Demba Ba’s magpie’s future on the rocks, Alan Pardew could be tempted into the transfer market to re-sign Carroll on loan. Pardew who was full of plaudits for Carroll towards the end of last season, may be able to recapture Carroll on loan if Ba does leave the club. But the question is would this be the right move? Carroll is very similar to Newcastle’s other star man, Papiss Cissé. Both players like to operate on the last man and therefore there may be a clash of playing styles. 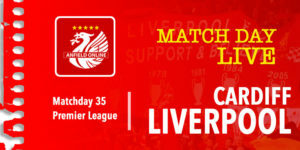 With Carroll, a small, pacy striker needs to accompany him up front to feed off from headed knock-downs and most importantly to work with Carroll on the floor to improve his passing and vision skills which would be neaded to spearhead Rodgers 4-3-3. The closest player Newcastle have to this undersized, quick striker is most probably Sammy Ameobi. And he doesn’t exactly fit the bill does he? (standing at 6ft 4in-which is taller than Andy Carroll himself) In my opinion, this is not the right move for Andy. Newcastle like to loft the ball into the box alot, and that would only enhance Andy’s heading ability which needs little work. News has broke this week that West Ham chairman David Gold has expressed an interest in a loan deal for Andy Carroll if it were to come available. And to be honest, Andy Carroll is the ideal signing for West Ham. The hammers are a team which just overload the box with lofted balls. The majority of goals for West Ham last season were from long balls or headers from high crosses. Sam Allardyce is a man with a simple system. Get the ball and hoof it up to the strikers. And if Carroll were to go to West Ham, he would immediately become a target man with his head being the objective to either flick onto Vaz Té, Nicky Maynard or Carlton Cole, or find the net. 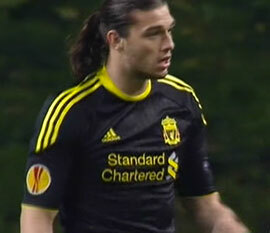 Again, Carroll’s not being able to showcase his footwork and passing to a watching Brendan Rodgers. Without to much thought, this certainly must be a “no go” for Andy Carroll. 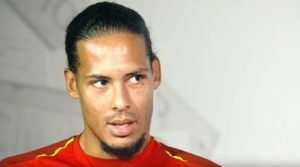 Now when I heard that the seven time European Cup winners were eager on Andy Carroll, my eyes lit up. Suddenly, ideas flooded into my mind of a confident, long-haired, goal machine returning to Anfield after a spell at the San Siro. Possessing players such as Robinho, Boateng, Pato and Montolivo, all renowned for their passing ability and skills on the deck, it would be ideal for Carroll to join Milan and feed off low passes before slotting home plenty of goals. Also, playing alongside Alexandre Pato would help. The skillfull and speedy Brazil star knows where the goal is and is useless in the air, meaning the ball will be kept in his comfort zone on the ground, so Carroll can strive to improve his feet. After recently a €51M double swoop for Ibrahimovíc and Thiago Silva was accepted from moneybags PSG, Andy could immediately will the shoes of Ibra and with his high work rate, I believe this deal could be a hit for Milan fans and prepare him for the pass and move style of Rodgers’ Liverpool when he returns. Should Liverpool consider loaning Andy Carroll out? 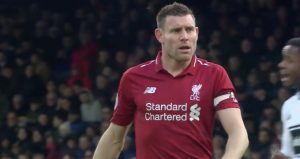 Should Liverpool just complete a sale? 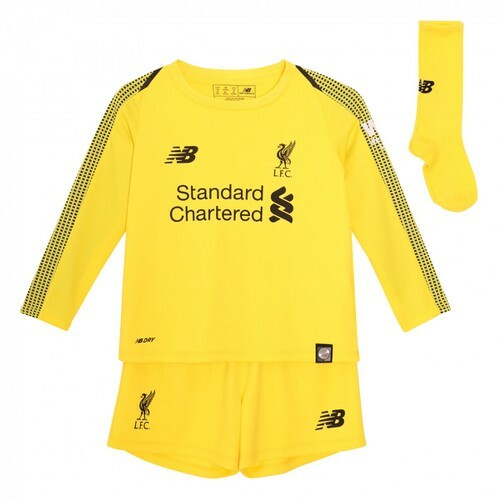 Or can Andy be an integral part of a successful Liverpool first team? He’s on his way back to Newcastle. 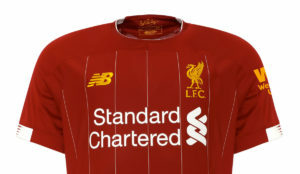 Looks like Liverpool are ‘trimming’ the wage bill. Clint Dempsey to be signed as a replacement. Whole thing stinks, doesnt look like a footballing decision. i believe in Carroll and i hope Rodgers gives him a chance. yes, he hasnt been his best but he can improve and we should give him another chance. i agree with John, rodgers should coach him and teach him his way of football and see where that goes. Dont forget Andy is only 21, and comming to a big club like Liverpool it like comming to swim in the ocean compared to Swiming Pool, It takes time to settle down and be at your best I feel the New Manager should keep him and see under his guides how he delivers and there after decide , would be the right thing to do. 21 are you drunk? He is 23.